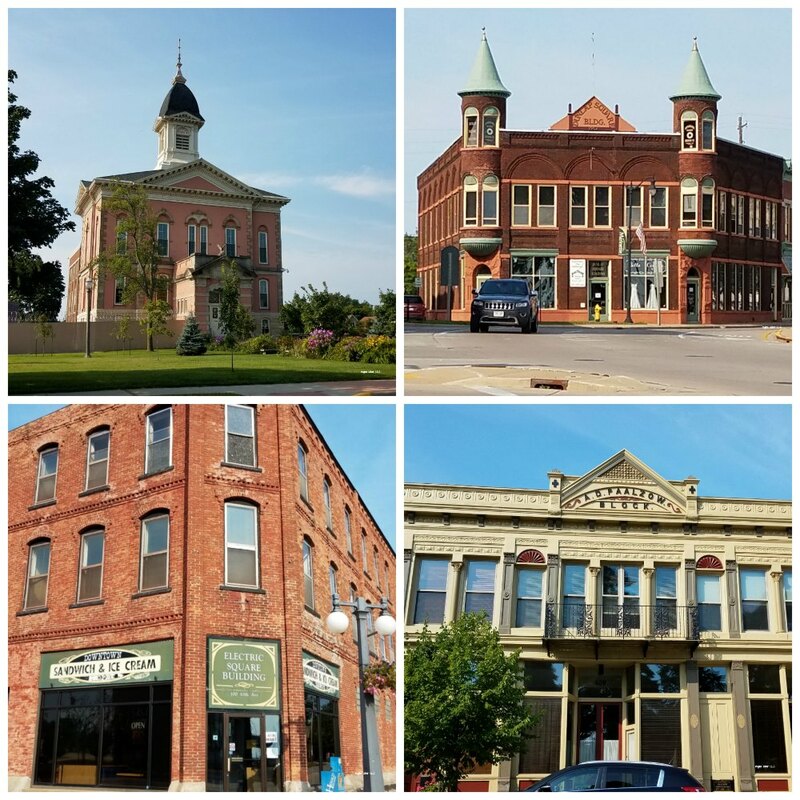 Our family took a trip from Wisconsin to Michigan and came across a few roadside attractions along the Wisconsin – Michigan border. 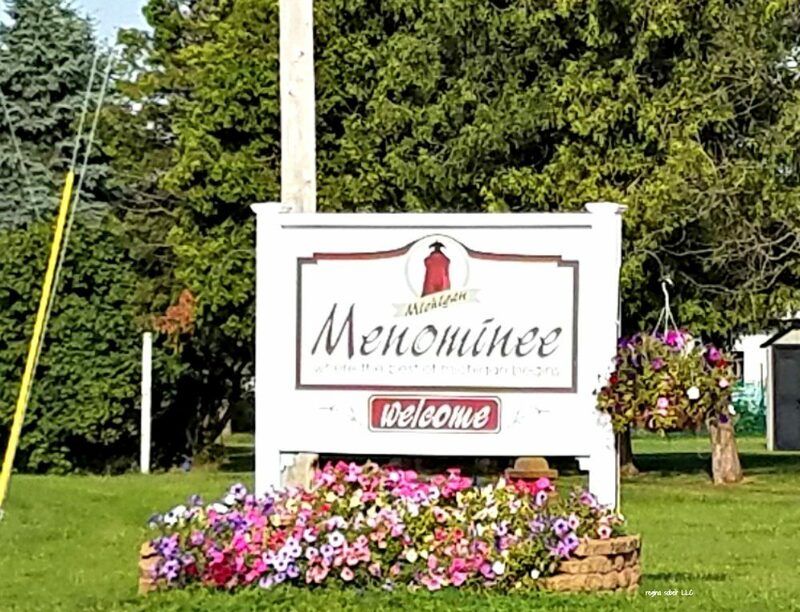 We came from Marinette Wisconsin and went into Menominee Michigan. 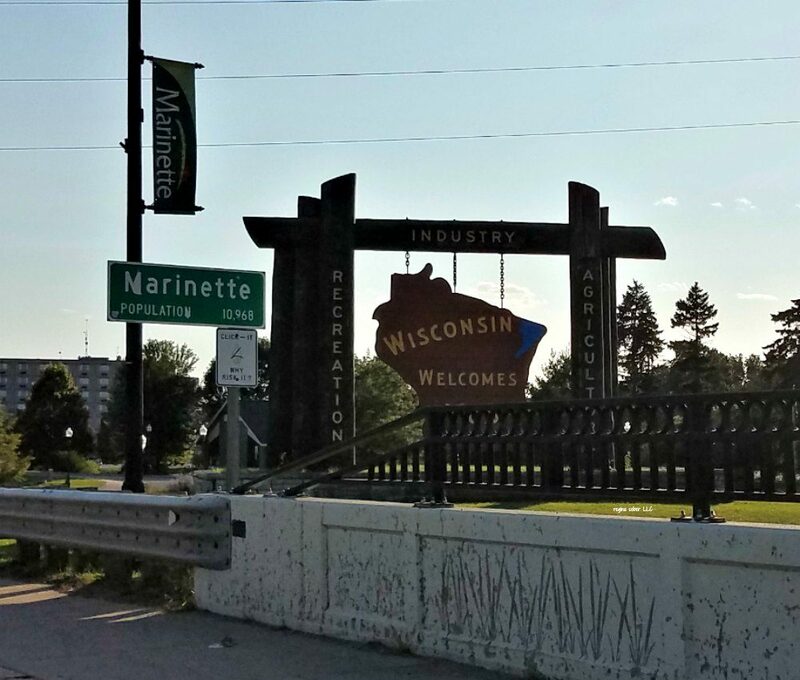 These towns are like twin towns (known as the twin cities of the Menominee River), connected by three bridge making it seamless to go between the two. Both towns have a small town atmosphere. Bring cash as some businesses do not accept credit cards, so ask if you are not sure. In additional to the unique roadside attractions, be sure to check out the beautiful buildings in the area. 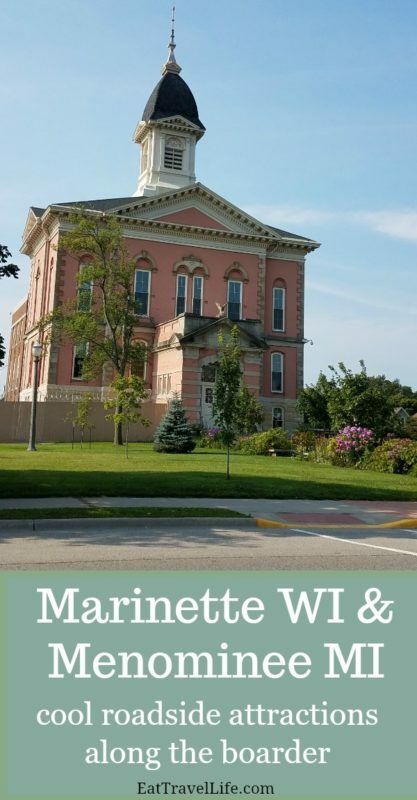 Between Menominee and Marinette, there are some beautiful historic buildings. 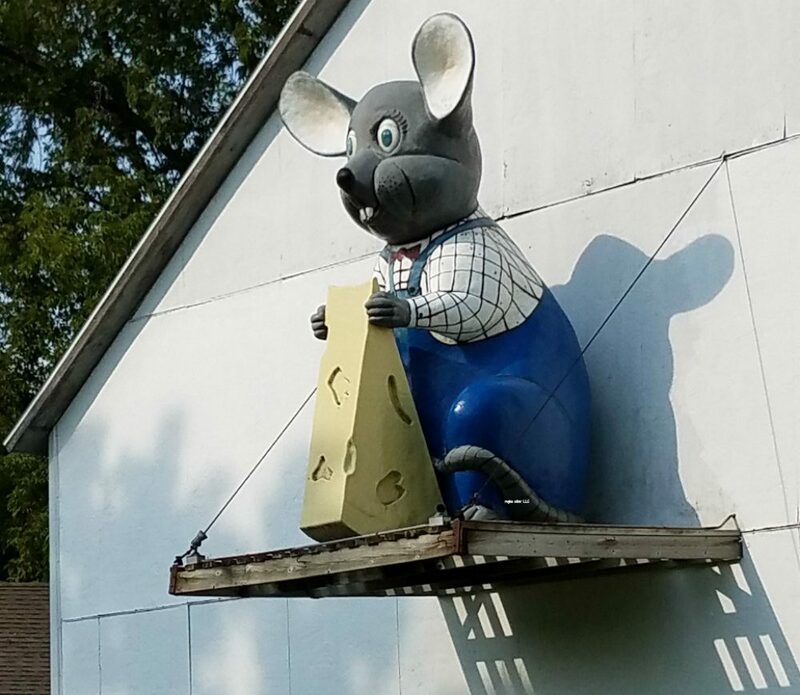 Big Mouse – the big mouse sits on the side of Joe’s Cheese House in Marinette Wisconsin with his piece of cheese. To get there, it’s off the main road, in a residential area. Location: 1905 Dunlap Avenue, Marinette Wisconsin. 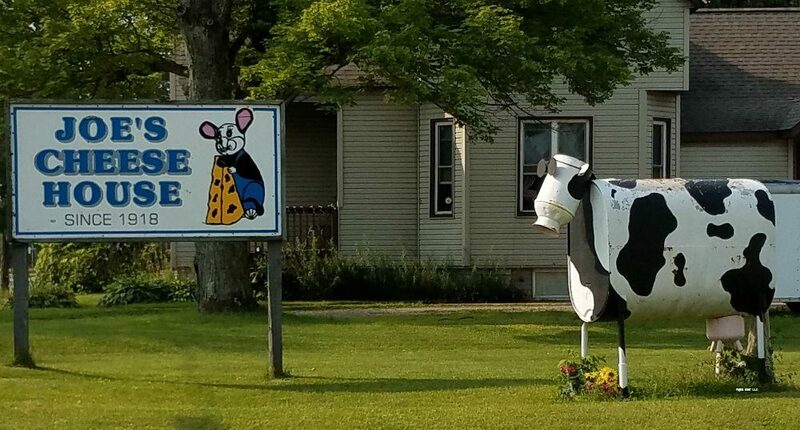 Junk Cow – You can find the black and white cow at the same location the Big Mouse is at, Joe’s Cheese House. Off of the main road, in a residential area. The cow is in the yard. Notice the milk can has been used to make the head of the cow. Pretty cool. 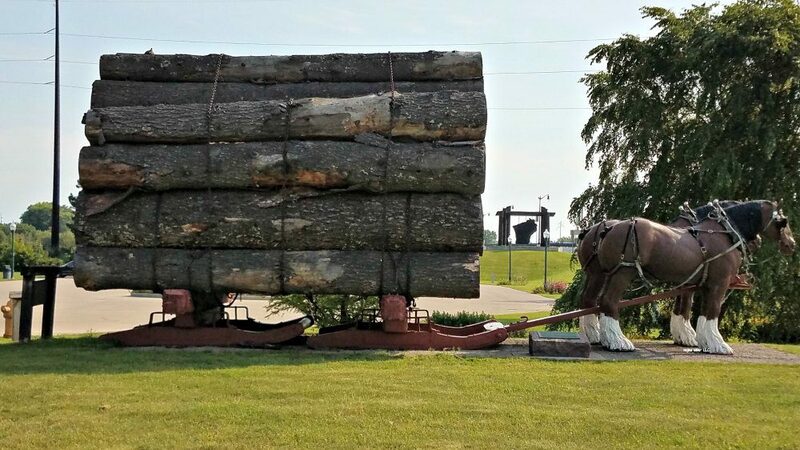 Clydesdale horses with 10,00 board feet logs – When crossing the bridge between Marinette and Menominee, is where you will find this in front of the Stephenson Island Logging Museum. Location: Located on Stephenson Island off Bridge Street (Highway 41) going between Marinette and Wisconsin. Going to Michigan it will be on the left side of the road. Michigan Welcome Center Menominee black bear -This is a pretty cool welcome center. 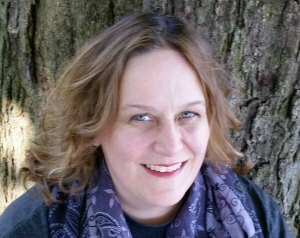 Michigan has been all over and it’s a great place to stop an ask staff questions and find out tidbits of information about the area you are heading to. This is a log cabin welcome center, which is pretty unique. Inside the building, there is a stuff black bear. 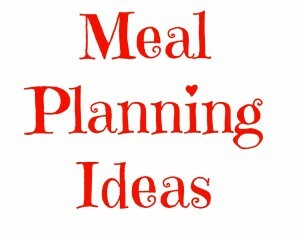 Location: Located on Bridge Street (Highway 41) going between Marinette and Wisconsin. Going towards Michigan, it will be on the right side of the road. Menominee North Point Lighthouse – located at the end of the pier. 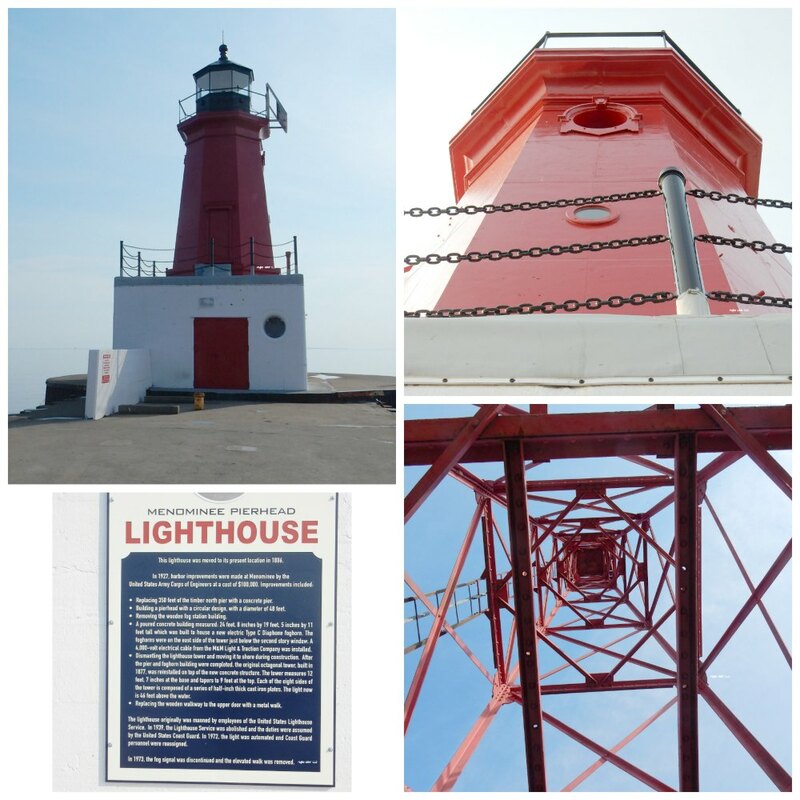 The lighthouse stands 34 feet tall and an octagon cast iron structure. You are able to walk out on the pier and walk around it, but cannot enter. The lighthouse guides ships through the Menominee River. Location: Harbor Drive, Menominee. Harbor Drive is not marked well, but located off 1st Street. It’s near where there is an electrical hub. If you turn there, you missed it.